I am commemorating Autumn this year in the best way: by teaching the boys that ridiculous primary school song that pretends to be about autumn but is actually about jet planes and gratitude. You’re singing it already, aren’t you? This is such an adorably dorkish song that everyone needs to learn it, so they can sing it while swishing their way through leaves on their way to nursery. I have never thought to be grateful for jet planes, personally, and didn’t know they refuel in midair (do they? ), but it’s an autumn essential, so now you know. YouTube it! 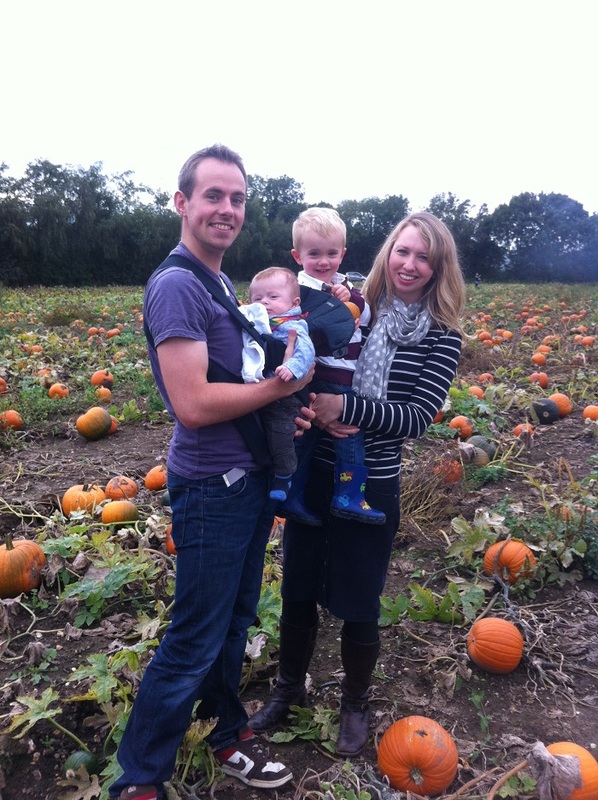 Oh, and we went to pick a pumpkin on Saturday, which was brill. 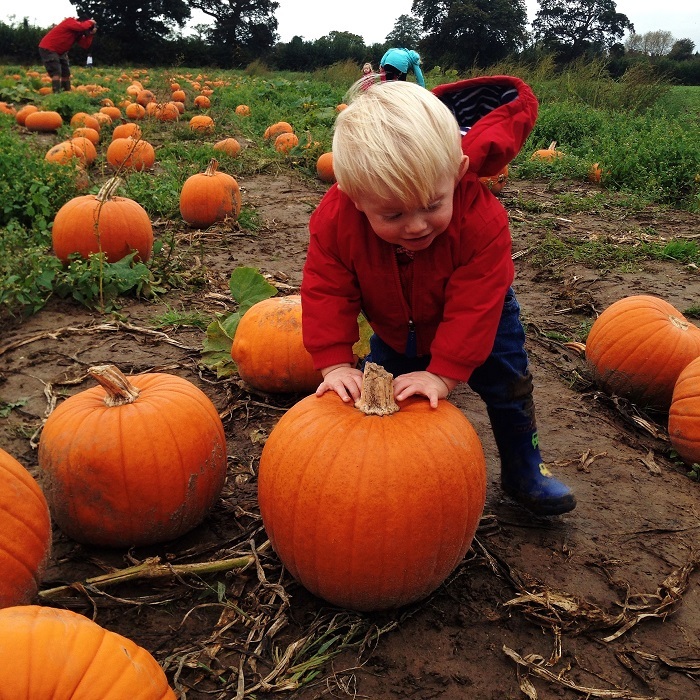 You may remember, reader love, that we already had a pumpkin from Odds Farm Park. Two days after we got it home, I noticed a bit of spidery mould inside, and by the next morning it was pushing out of the eye holes like some grotesque fungal disease. Halloweenish, yes. Sanitary and toddler-appropriate, no. 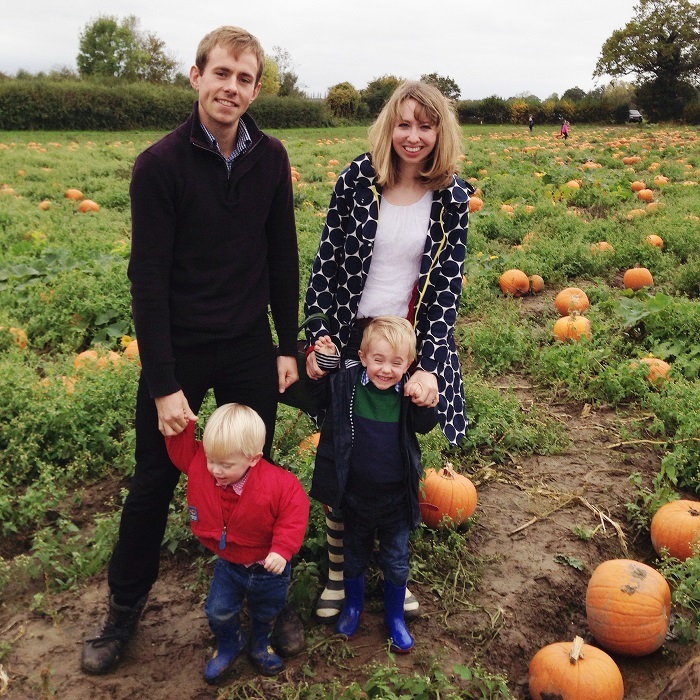 So that pumpkin ‘went on holiday’, and we went to Garsons Garden Centre with my brother- and sister-in-law to find a healthier one. Garsons is a bit of a drive for us, but I really like it there. The pumpkin patch was much gloopier than last year, after the recent rains, but we’d come prepared with wellies so were totally devil-may-care about it. Teddy couldn’t decide whether he was more excited about the pumpkins or the free mud bath. Why choose, Teds? Pick both. We are the absolute winners of the family photo, though, aren’t we? Boy 1 loves his cousin. I tried hard to get a photo of the two of them, but they wouldn’t stand still long enough. Finding a tree-star did the trick. 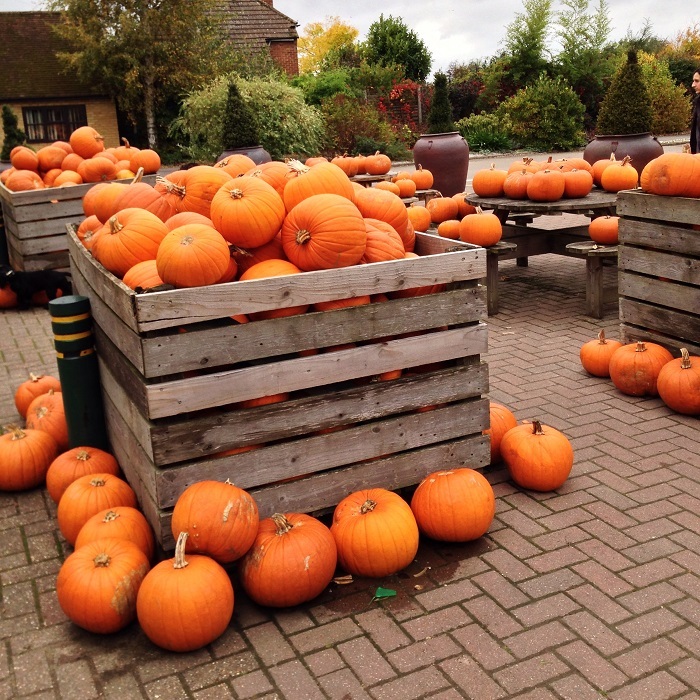 After the pumpkin patch, there are two huge farm shops: one with fruit, veg and other food, and the other with everything else ever. There’s an expansive Christmas section where I got our special bauble for this year, and enough lovely toys and kitchenware to make your purse hurt. Don’t forget the mutant squash. I think that long chap is the one that can turn things to ice, and you know the two-headed monster is the one with the retractable claws. 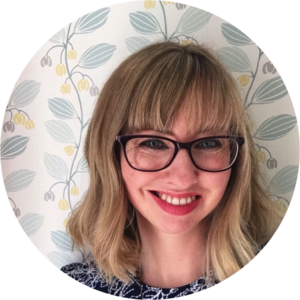 This sort of outing can only be rounded off with giant hot dogs and curly fries, and – luckily for us – it was. Happy October! Wishing you jewelled grasses and jet planes in bulk. 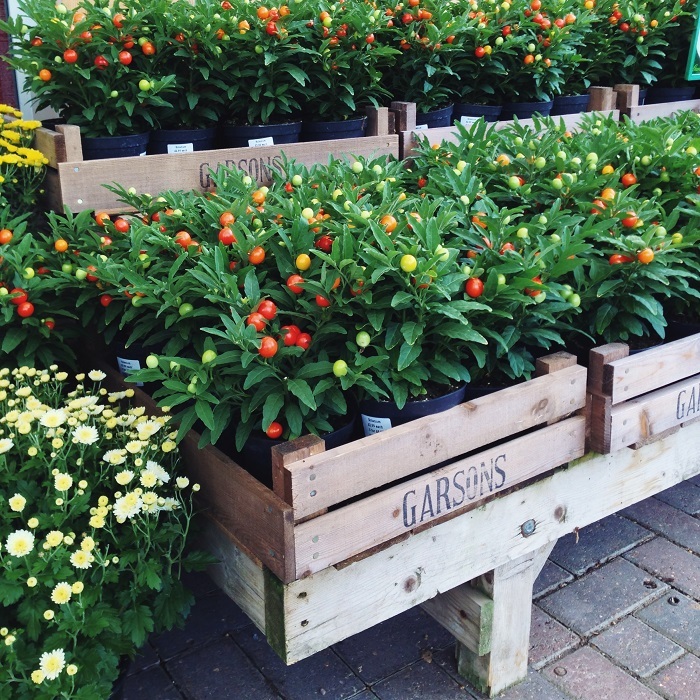 Garsons Garden Centre, Esher, Surrey. 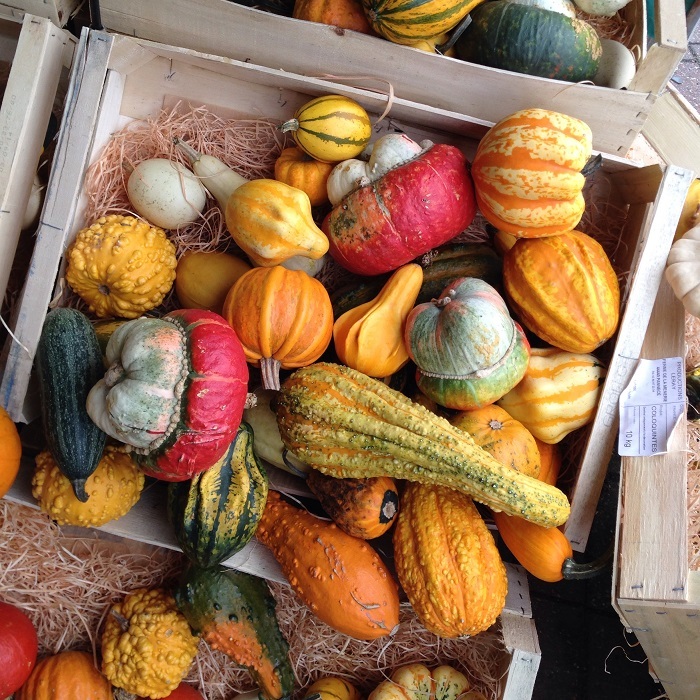 I like Esher because Edward Seymour lived there once, but also because of the mutant squash. I love that song! 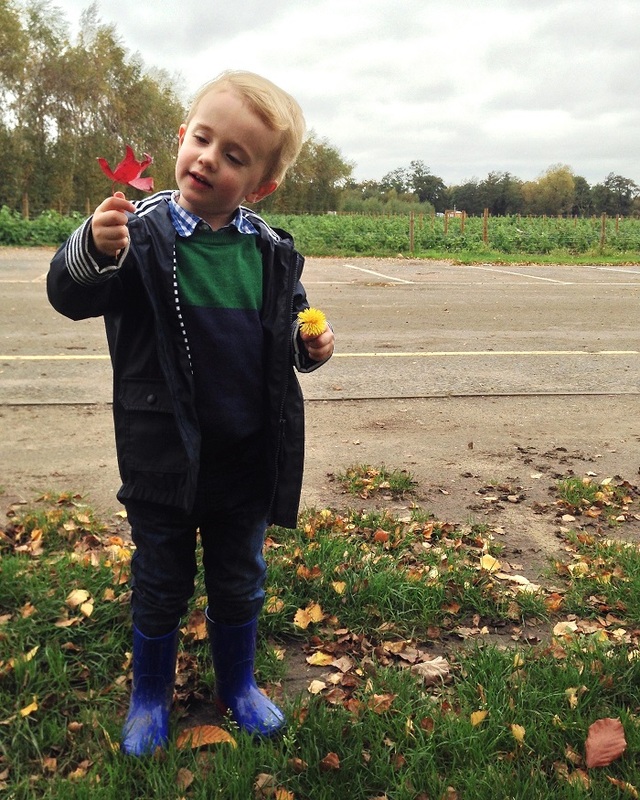 And have also been wondering how my almost 4 year old is so much bigger and yet still wearing the same tops… Happy autumn days to you and your boys. Isn’t it weird? I am beginning to think I just don’t notice when he’s grown out of something – whoops 🙂 And to you and yours too! We haven’t quite settled into rainy days yet here, so we’re really enjoying it. Rachel i do not know that song but am now very eager to be singing it and kicking leaves like a mad woman!